We spoke with lab technicians Kenley Bzdel and Provincial Fish Disease Specialist Bev Larson to learn more. Q. What research is happening? KB. We have processed over 6,500 wild and cultured fish from six watersheds. 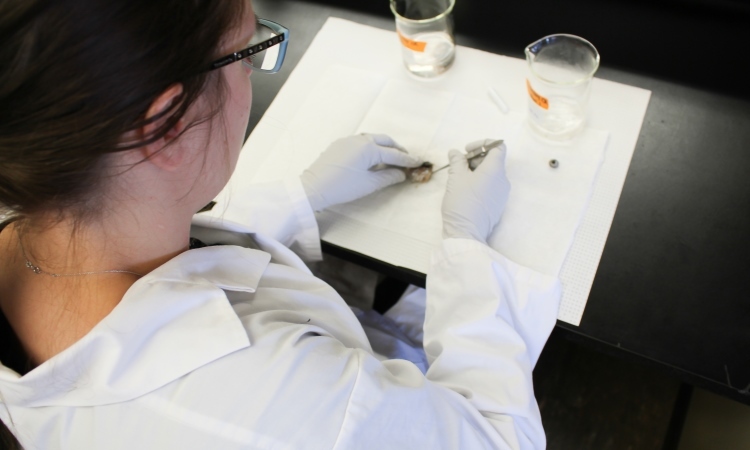 After we process the fish, we send the samples to the University of Alberta for molecular testing. 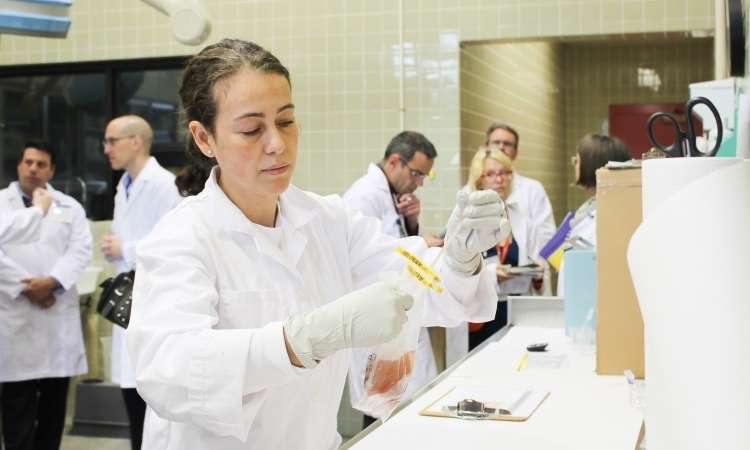 Any samples that test positive at the University are sent to the Canadian Food Inspection Agency’s federally certified lab to be retested. This two-step process allows the fish to be tested faster and helps the agency get the results sooner. 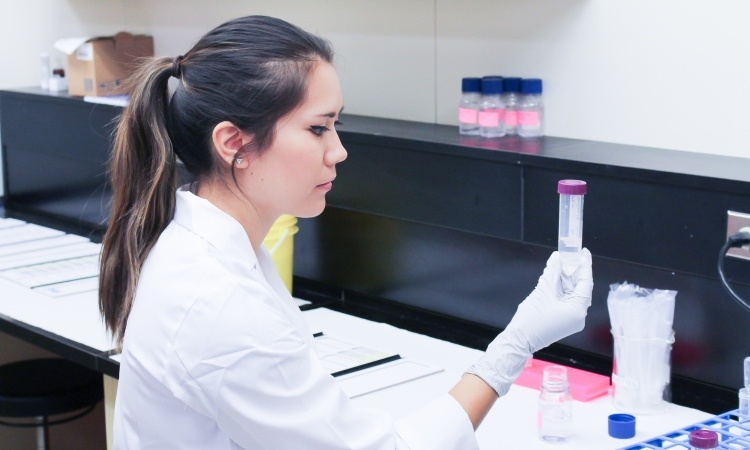 The lab is biosecure to prevent any escape of spores into the environment; bio-medical waste is collected and disposed of appropriately—nothing goes down the drain. Q. What does whirling disease mean for Alberta’s recreational users and tourism? BL. We do not know what will happen to the fry/fingerling fish population—this is very new to us. The U.S. has done a lot of research and they are not able to predict the outcome because each situation has proven to be unique. The data we continue to gather will be invaluable to keeping a handle on whirling disease in the province. Q. What is the urgent need? BL. The greatest urgency was last fall to ensure any fish used to stock Alberta lakes and rivers were not infected. There was also a rush to sample wild fish from creeks and rivers before freeze-up. Those fish were stored in -80 C freezers and have all been processed at the InnoTech Alberta Vegreville lab. We can now identify the sampling locations on an Alberta map to show where fish tested positive or negative for the parasite. Q. What is the difference between an infected fish and a diseased fish? BL. An infected fish could be compared to a person who is a strep throat carrier. That person does not have the symptoms but can give someone else strep throat. 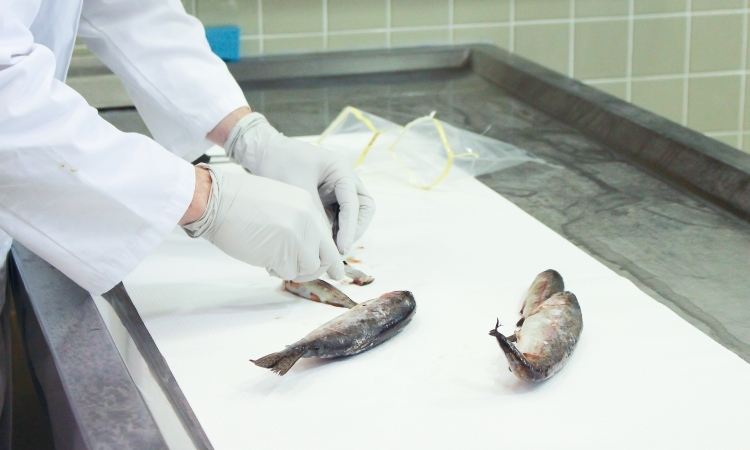 Most of the fish that tested positive did not show clinical signs of Whirling Disease. Q. How important was it to secure the InnoTech Alberta Vegreville lab? KL. Our partnership with Alberta Innovates helped us quickly secure the facility and get the support we need to have the lab up and running as soon as we could. To learn more about Whirling disease, visit Alberta Environment and Parks’ website. If you suspect a case of whirling disease, call 1-855-336-BOAT (2628).